Erixma - "Sphere Of Magnetick Virtue" / The Switch Off Option - "Play"
Clive Richards is proving to be quite an interesting artist here at the AI offices. His Moisten Before Use (see AI #22) and All A Stagger (see AI #23) projects were quite different from one another, exploring various experimental and rock styles. And the latest releases from his Fragment label journey into even more varied realms. Erixma are the duo of Clive Richards on percussion, tape manipulation, jew's harp, voice and samples, and Brian Field on voice, keyboards, synths, samples, tape manipulation, guitar, recorders and percussion. Sphere Of Magnetick Virtue is the their second release and was originally recorded in 1994-95 and released on cassette in 1998, and now reissued on CDR. The set opens with "Angleland", which features Indian/Middle Eastern percussion, jew's harp and chanting that give the music is a nice throbbing psychedelic groove. "Seaside Sermon" consists of cosmic ambience, soundscapes and field recordings that provide the backdrop for the spoken word "sermon" of the title. An excellent combination of floating and freaky elements. I've said this numerous times in reviews, but the incidental yet oh so critical sound effects and music in films often make perfect stand alone works for those who like to close their eyes and surrender their imaginations. Case in point is "Eight Cycles Per Second", a sound-art piece that sounds like the backdrop to a sci fi flick or video game. Images of meteor showers and underground caverns co-mingle with ethnic percussion and ambient waves. I enjoyed this track a lot. Somewhat similar, and one of the more abstract tracks of the set, is "Infidels", which requires a close headphones listen to absorb all that's happening. We've got slow paced collaged noise, percussion and anguished and chanting voices, backed by spaced out ambience and bubbling alien sound efx. Mucho tasty. On "Two Million", the duo create haunting but quirky atmospherics that remind me a little of The Residents. This is combined with spacey oddball grooves that are in the experimental realm but include a psychedelic undertone. Chords that sound like scrapping across piano or some such strings contribute to the percussion and there's a dark symphonic edge to the music as well. It's difficult to describe but there are multiple layers of sound, each occupying it's own distinct area in the larger whole. "Prosesioun" is a fun tune with flutes, oodles of ethnic percussion, and UFO synths. "Mother Ship" has an aquatic theme, dominated by running water and howling and pulsating percussive bells. And "Pollination Zone" is the most purely atmospheric track of the set, though Erixma's idea of ambience includes a banquet of varied sounds and percussives. In summary, there's a LOT happening on this disc and multiple listens are required to digest it all. New discoveries to be made with each subsequent spin. Best of all, it's virtually impossible to categorize, blending all manner of experimental, sound art, ambient, and psychedelic space elements. The Switch Off Option is a free-improv avant-jazz ensemble consisting of Clive Richards on percussion and Brian Field on synth and voice (both from Erixma), along with John Aldrich on guitars, Roger Curphey on double bass, one string fiddle (if you can picture that), piano, trumpet and voice, Bill Fairhall on bass, percussion and ambiences, Bob Peachey on saxes, recorders, ocarinas and "other undefined blowing things" and voice, and Seth Peachey on percussion, and Garry Taylor synth. The liner notes also point out that this is only a general guide as to who plays what because there was a great deal of crossing over of instruments. And why not?!!! There are 15 tracks on the CD, all recorded in 1991-92. Among the highlights is one of my favorite tracks, "Rush Our", which is a chaotic rollicking free-improv jam that is jazz based but also draws on rock elements, and includes lots of freaked out electronic embellishments. W.O.O. Revelator and World Of Tomorrow would be good analogies for their similar freeform style and use of electronics and atmospherics. I really like the interplay between sax and percussion on "Neversaurus" and was disappointed when it ended after less than 2 minutes. I think I hear the one string fiddle wailing on "Growing Pains", along with bowed bass, ambient guitar notes, and whimsical electronics. "While The Cat's Away" is another standout track, sounding like the avant-garde free-improv interpretation of a Carl Stallings cartoon soundtrack. "Lookonian" begins with a slow paced cool avant-lounge groove, with sparse but beautifully expressive guitar and sax phrases and a deep rolling bass forming the foundation. As the tune progresses things get a bit more frenetic, but just when it's in full swing... it ends. Would definitely have liked to have heard this one continue for a while. There's a similarly potent bass on the space jazzy orchestral "It Will Come". And I like the combination of free-wheeling sax and dark Roger Trigaux styled guitar on "Stepping Stones". 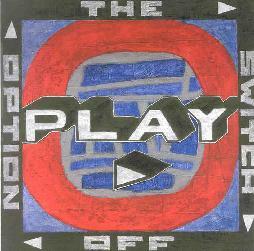 In summary, The Switch Off Option have lots of good ideas and are clearly enjoying themselves on much of the album. Fans of avant-garde improv jazz that includes a harsher rocking edge will find much to enjoy here. My only complaint is that the music sometimes cuts and runs just when the band is taking off. Let's stretch out a bit guys! I'd love to hear more but the liner notes give the impression that this project no longer exists. 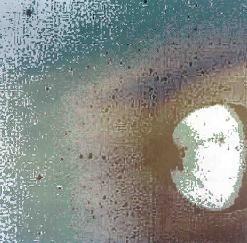 Contact via snail mail c/o Fragment; PO Box 4063; Brentwood; Essex; CM14 2WH; England.